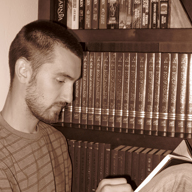 Brandon Michael Davis is a freelance writer, editor, & aspiring artist. Below youll find biographical information as well as information about his art & writing process, tools, and aspirations. In 2010, I earned a bachelors in humanities with a writing minor from Maranatha Baptist University. Since that time, I have lived in Wyoming, where I write, edit, and illustrate full time. I appreciate comments about my writing and art, and would love to hear from you. Feel free to send me an email at comments@brandonmichaeldavis.com. I enjoy a wide range of art and have worked in many media. In addition to drawing and painting, I like to make lampwork beads, sculpt with polymer clay, and etch glass. Although I enjoy many art forms, I focus my time primarily on digital painting and graphite drawing. For digital art, I use a Wacom Intuos4 Tablet to paint in Adobe Photoshop and create vector designs in Adobe Illustrator, which I often render in Photoshop and implement in my paintings. For graphite drawing, I typically work on smooth Bristol paper using a 0.5mm mechanical pencil, blending stumps, and soft as well as kneaded erasers. When writing, editing, and proofreading for clients, I strive to be flexible in my process to best suit their needs yet remain firm in my commitment to produce excellent content. I perform my freelance work through oDesk. For more information about my rates and work history, or to contact me regarding freelance work, please visit my profile. My personal writing tends to be sporadicboth in frequency and content. I greatly enjoy writing fiction, especially allegorical and illustrative content. But I also enjoy writing nonfiction, particularly on topics related to the Bible and Christianity.